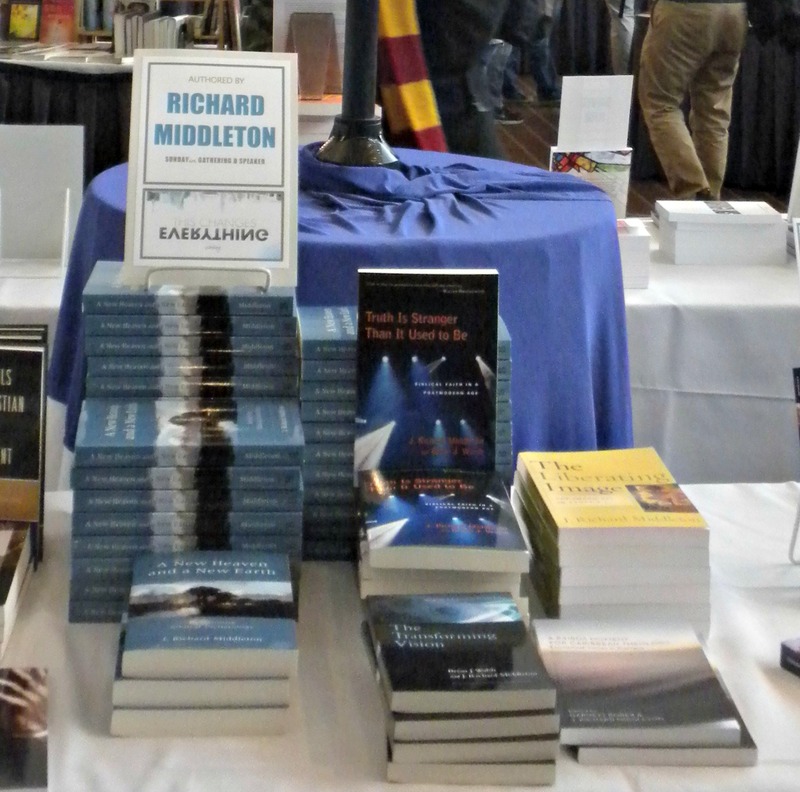 The book display at the Jubilee 2015 conference that I recently spoke at was organized and staffed (as it is every year) by bookseller extraordinaire, Byron Borger of Hearts and Minds Books. When I say “book display” I should put that in the plural; there were multiple tables with an amazing array of works in theology, biblical studies, ethics, and topics on how faith relates to every aspect of culture and society. Byron has an encyclopedic knowledge of good books, both classical and contemporary, and he has done a phenomenal job over the years introducing many Christians to a depth of life-transforming knowledge that they otherwise would not have known about. The book displays also featured works written by speakers at this year’s Jubilee conference, including my own recent eschatology book, A New Heaven and a New Earth (plus all my other books!). In fact, Byron has written two reviews of my eschatology book, one extended, the other briefer—to accompany his naming it as biblical studies “book of the year” (given the number of books Byron reads, that’s quite an honor). 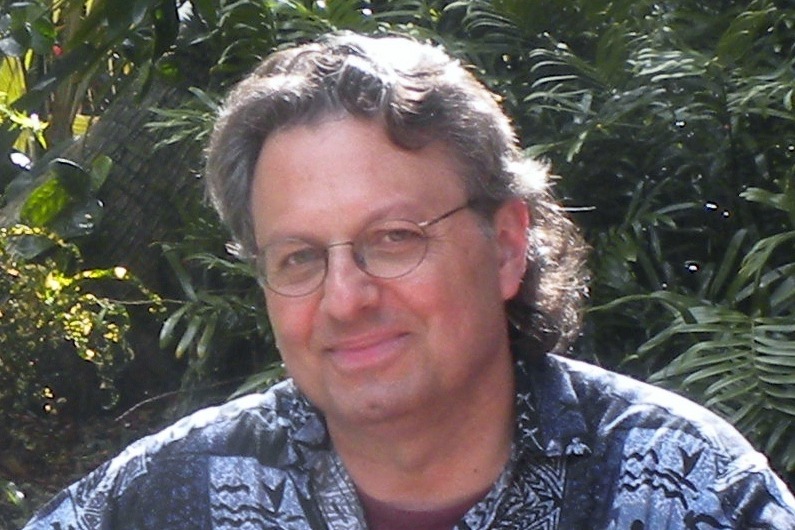 Byron recently posted a comment on his Facebook page about one of my blogs (from about a year ago) that addressed the relationship of my own eschatological vision to that of New Testament scholar Tom Wright (via Brian Walsh). 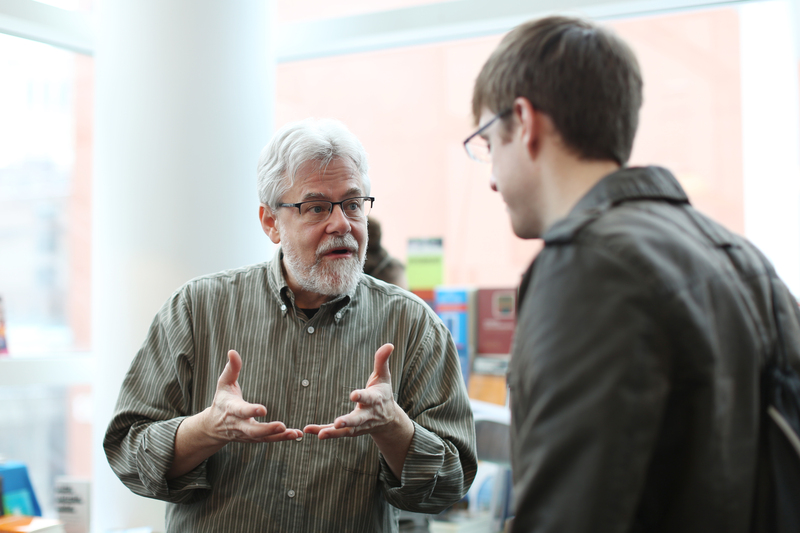 Here, the co-author of Brian’s “Transforming Vision” (one of my all time favorite books) J Richard Middleton shows the connection between TV, which they were writing even while Brian was engaging Tom Wright with a more comprehensive view of God redeeming all things. Now that Richard has written the definitive book on wholistic eschatology (“A New Heaven and a New Earth”) — and spoken about it at Jubilee last week — I thought I’d share his rumination on this little story. 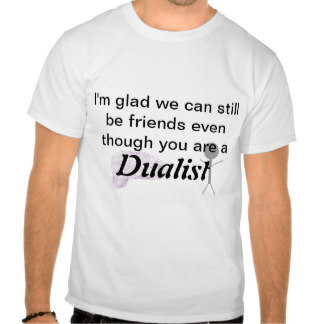 Three cheers for their phrase “no dualisms” which CCO used to have printed up on staff tee-shirts! Three cheers for Tom, Brian, Sylvia, and Richard. I am thankful to know about such significant authors, and to praise God for these generative friendships. Byron, thanks for all your work for the kingdom!